Nikon camera helps millions of people save their best moments into incredible digital images. The stunning image quality and unmatched ergonomic allow for the best results and you can set the bar of photography to the new level. You would never want to lose such masterpieces. 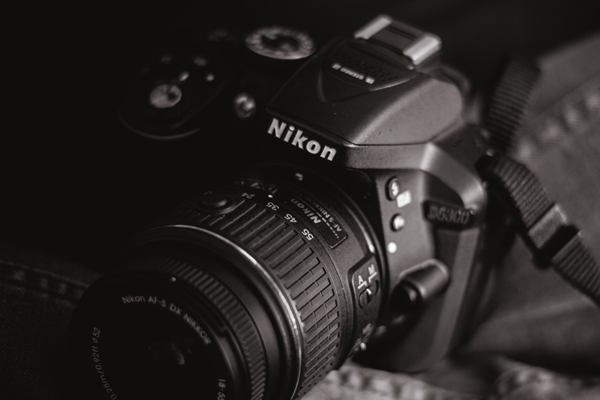 However, if you lose the photographs by accident, it is time to know how to recover the JPEG and NEF photos that get deleted from Nikon memory card. Nikon digital camera can store photos in JPEG and NEF formats, the latter of which is a RAW format exclusive for Nikon. Many photographers use JPEG + NEF mode for shooting, since JPEG gives instant preview while RAW stores most details. Of course, in order to get smooth experience with Nikon camera, you also need a premium memory card. Nevertheless, it is still inevitable to lose some precious pictures from Nikon camera memory card due to mistaken deletion, formatting, failed file transfer or SD card errors. Is Nikon Photo Recovery Possible? If you lose photos accidentally, don’t panic as when photos get deleted from the memory card, they just disappear from the camera, but the contents are not destroyed immediately. The storage system of your camera memory card marks the space as available for new created files. You have a great opportunity to retrieve the lost files if you manage to start the undelete process quickly before camera uses that partition. The retrieving process can be quite easy if you take assistance from professional recovery software. 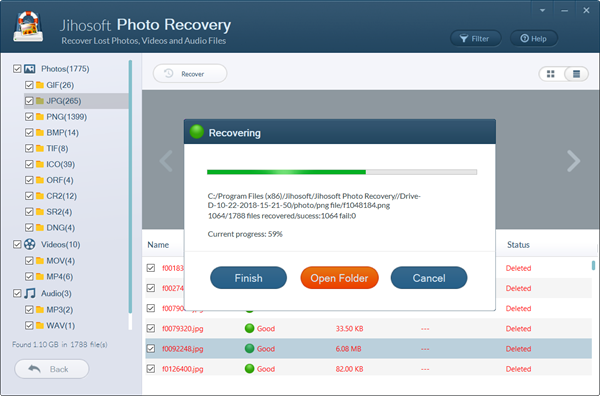 Jihosoft photo recovery is the greatest software for photo recovery. This software is especially designed to recover deleted photos from digital cameras, like Nikon, Canon and other digital cameras. The Nikon photo recovery software will perform a thorough scan of the storage drive of the camera. It will find, locate and then recover the deleted files, including JPEG, Nikon NEF and more RAW and common images. 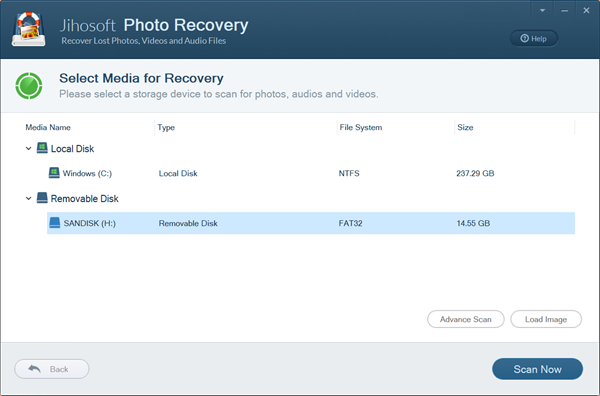 It also works if you want to recover videos and audio files from your storage device. Support memory cards manufactured by Kingston, Samsung, SanDisk, Lexar, etc. Want to give it a try? Just free download the Nikon photo recovery software, then install it to your computer and follow the steps below. Now you need to connect the camera to a Windows or Mac computer through a USB cable or connect the memory card via card reader. Make sure your computer is able to detect the storage device. 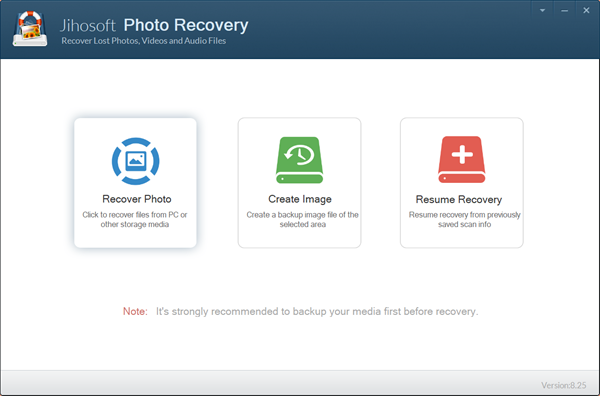 Launch the Nikon photo recovery software, then choose Recover Photo option. Look through this article if you want to know more functions of this useful utility. Now the software should show all the detected storage disks. You need to select the partition where your photos were lost, then start scanning for lost Nikon photos by clicking Scan Now for all files or choosing Advance Scan if you want to specify file formats. Depending on the size of the storage device, it takes different time period to complete the scanning. Once it is done, you can open the options on the left panel to preview. The preview feature can help you find the photos that you really need, so you can select the wanted pictures and click Recover button to get them back to your computer. 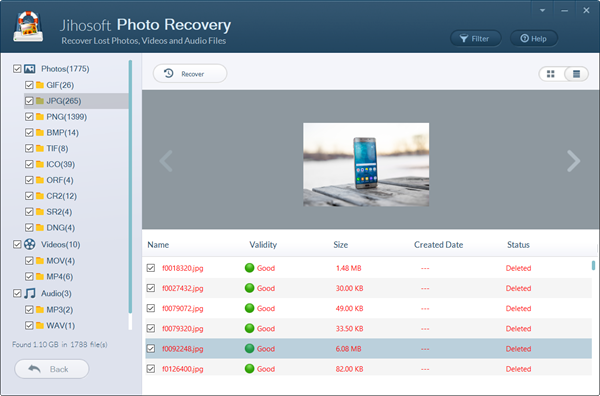 After the completion of recovery, you can check the recovered images in the well-organized folders. If you also need to recover deleted documents and other files, there is also an excellent data recovery software available. It is actually impossible because people do make mistakes or regret for short sights. However, we can prevent accidents from causing loss by making backups. There are many methods for backing up camera SD card, but what we are going to introduce is a feature of the photo recovery software above. The process of backing up memory card is very easy. You just need to choose Create Image instead of Recover Photo on the first screen of the program, then follow on-screen instruction to complete the backup step-by-step. Once it is done, you will get a compressed IMG file, which contains the entire structure and content of your memory card.